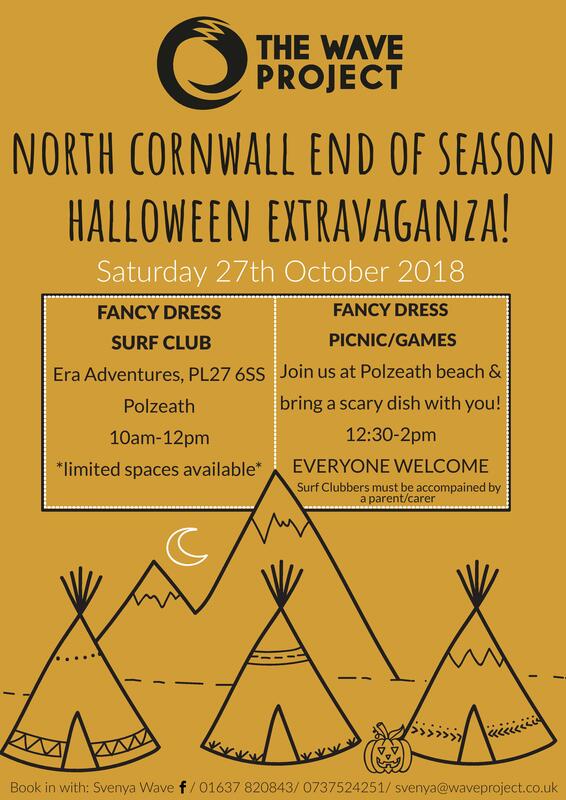 Join us for the last North Cornwall (Polzeath) Surf Club session of the season from 10am-12pm with a Halloween fancy-dress twist! We will have slightly more spaces than usual but they are still limited so please make sure you email svenya@waveproject.co.uk to book on! Usual prices/ Ts&Cs for Surf Club apply. 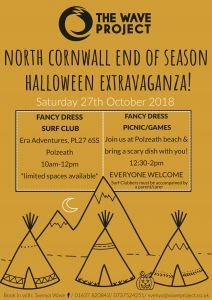 Following this, there will be more fancy-dress fun (those who are coming on from Surf Club will want a change of clothes!) on the beach for a Freaky Feast on the beach. Please bring a SCARY DISH with you (we can organise this between us once I know who is coming) as well as your own reusable cutlery/ cups to save on waste. All Surf Clubbers must be accompanied by a parent/ guardian in order to attend the Freaky Feast Social.